Sometimes it creeps up on you slowly, and other times it can hit you out of nowhere, that queasy feeling in our stomach that may or may not come before vomiting. There are many different reasons nausea occurs, but it’s safe to say we’ve all been there. 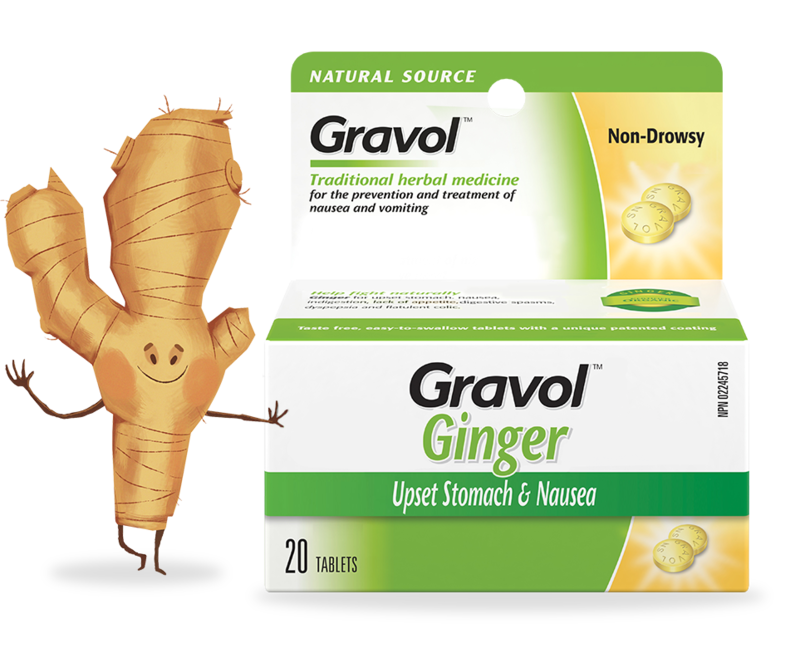 How can I avoid nausea? Eat smaller meals throughout the day, rather than three large ones. Remember to eat slowly and avoid hard-to-digest foods. If you are travelling and prone to motion sickness, try and sit in an area that has less motion. Near the wing of a plane or in the front seat of a car are both good locations. 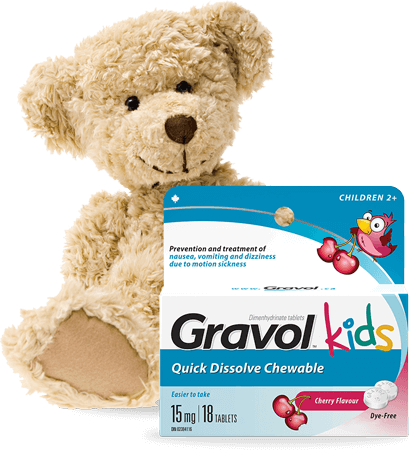 To prevent nausea due to motion sickness, take GRAVOLTM an hour or so before you travel. Eat light, bland foods like crackers – they’re easier for your stomach to digest. Rest by either sitting down or lying down. 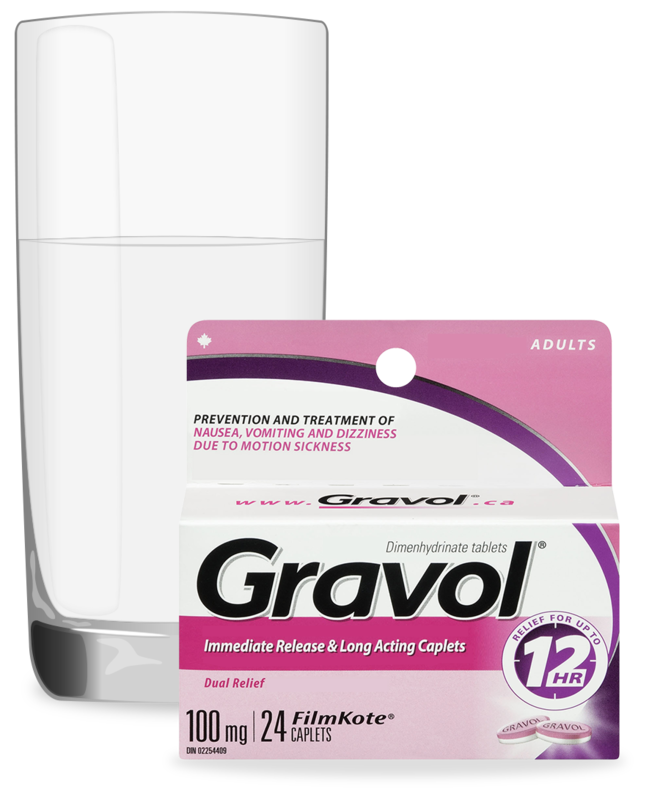 Take GRAVOLTM to help treat your nausea due to motion sickness. When you’re travelling, maintaining a healthy diet can often be the last thing on your mind, leading to things like upset stomach, nausea, motion sickness, and more. Here are a few ways you can help keep your health on track while abroad. We all get stressed out sometimes. Prolonged stress, however, can cause health problems and make travel-related conditions like motion sickness, jet lag or occasional sleeplessness worse.